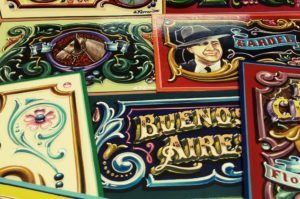 This two-day workshop provides a hands-on introduction to the traditional art of Fileteado Porteño. The decorative forms created by Fileteadors have become the visual identity of Buenos Aires, and were recently declared a World Cultural Heritage by UNESCO. The workshop is led by Fileteador Gustavo Ferrari as part of his tour of Europe and participation in Letterheads events. The first day of the workshop will provide a theoretical and historical introduction, with lots of photographic documentation of old vehicles, great masters works and the actual and current use of Fileteado in Argentina and abroad. Under Gustavo’s guidance, participants will then practice drawing with pencil and paper the traditional elements of the Fileteado: Flowers; Acanthus leaves; Laces; Ribbons. The day will finish with a demonstration of the design of a complete sign. The second day will offer a structured step-by-step approach to painting a complete sign using acrylics and the special Fileteado brushes. Working from a pounced pattern of the ornamental frame and drawing one letter of their choice, participants will first paint the flat colours, then shadows, lights and highlights to gain first-hand experience of the complete technique of Fileteado. Fileteado is a traditional art from Argentina. It began as a simple decoration on the trade carts of bread, milk or vegetable sellers in the early 20th century. In the 1920s and 1930s as it expanded to the decoration of buses and trucks its imagery grew more complex with the use of visual symbols (acanthus leaves, flowers, birds, dragons, flags) and the incorporation of short text, including popular and humorous sayings. 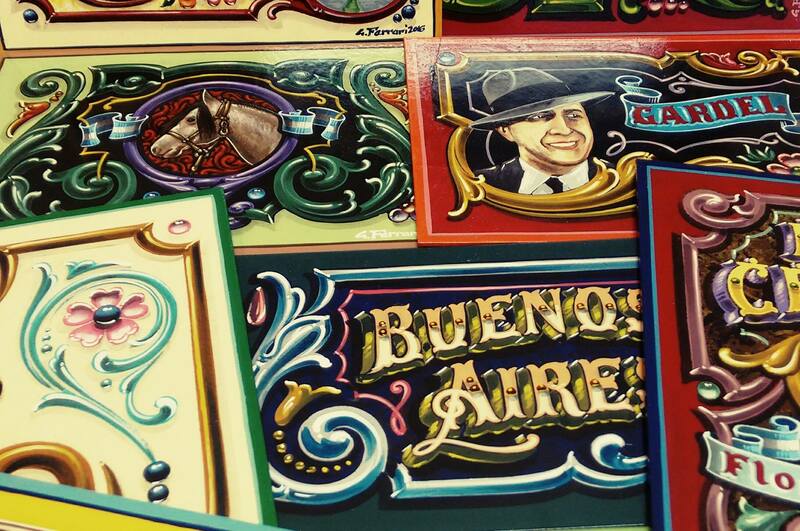 Today it can be found all over the city of Buenos Aires, in shop windows, and on murals and signs. The vernacular style of Fileteado led to it being declared a World Cultural Heritage by UNESCO in 2015. Gustavo Ferrari is an artist and historian from Buenos Aires, Argentina. He started to learn Fileteado with Alfredo Genovese in 2001, working as his assistant for two years. 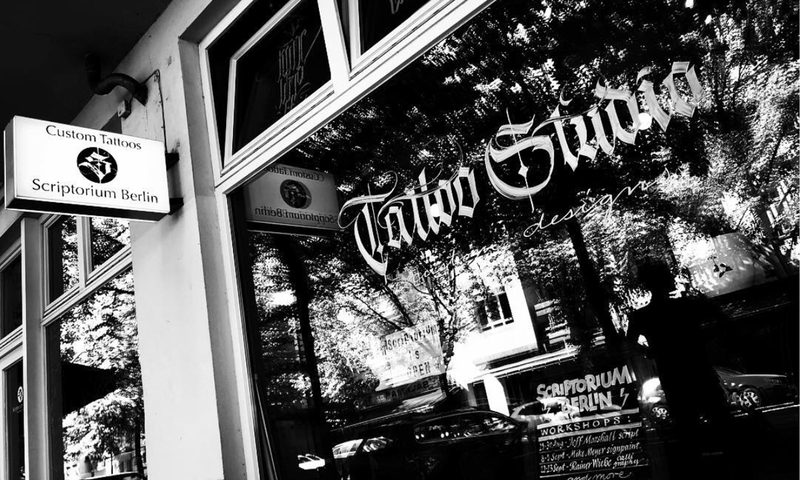 Since then he has worked on his own, painting signs, shop windows and murals. In 2009 he started to travel, showcasing the Fileteado style around the world. He has since done this at Tango festivals and Letterheads meets in the USA, Canada and Europe. In the last three years he has delivered demonstrations, lectures and workshops in London, Paris, Berlin, Amsterdam, Oslo, Saint Petersburg, Toulouse, Moscow, Sao Paulo, Rio de Janeiro and Lima.